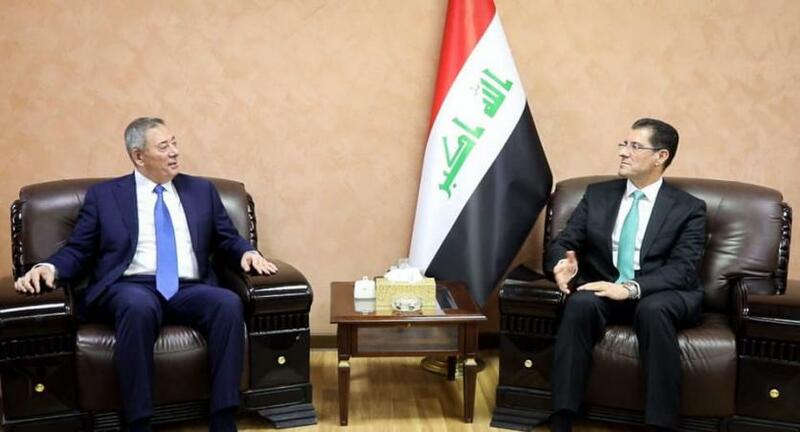 's Iraqi Foreign Minister Mohammad Ali al - Hakim on Friday, during a telephone conversation with his Jordanian counterpart Ayman Safadi, another Smottagdat relationship between the two countries. 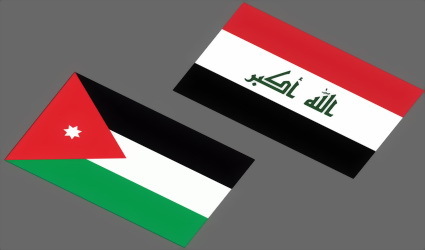 A statement issued by the Foreign Ministry received the 'orbit' copy of it, 'Muhammad Ali al-Hakim, had a telephone conversation with his Jordanian counterpart Ayman Safadi,' indicating that 'the communication dealt with the latest developments of bilateral relations between Baghdad and Amman, and the great momentum it takes for good On the two brotherly peoples'. Acting Speaker of the Jordanian House of Representatives Dr. Nassar Al-Qaisi welcomed Arab initiatives aimed at strengthening Jordan's relations with its Arab sisters in various fields. This came as part of the meeting of the Parliamentary Jordanian-Iraqi Parliamentary Committee, today with a number of Iraqi political figures represented by the Al-Hakim movement in the presence of the Chairman and members of the Committee. Al-Qaisi said that the meeting is the fruit of the initiatives that have been accomplished for the benefit of both countries, pointing out that the visit of King Abdullah II to Iraq and the visit of President Barham Saleh to the Kingdom recently, which set the stage for a new phase, opened the door for further mutual cooperation between the two countries. He expressed the hope that the current opening will form a solid ground on which bilateral cooperation will benefit the people of both countries. Al-Qaisi said that the harmony of positions between the two parliaments of Jordan and Iraq was clear during the work of the 29th Arab Parliamentary Union conference held recently in Amman, adding that what Speaker of the House of Representatives Mohammed Al-Halbusi expressed enhanced the Arab Arab consensus on the Palestinian issue and the many constants Amman and Baghdad. For his part, the head of the committee, MP Ahmed Al-Lozi, described the Jordanian-Iraqi relations with distinctive historical, praising the Arab positions expressed by Iraq for the benefit of its Arab nation despite the difficult circumstances it is going through. He said: "The promotion of relations with Iraq is an important demand to be agreed by the two parliaments, and all coalitions and political currents in both countries, adding that the committee is always seeking to strengthen parliamentary relations with the Iraqi parliament, and with different currents and political spectrum of Iraq. For his part, the Iraqi delegation valued the role played by Jordan in the region and the world, pointing out that Jordan's clear positions in all regional and international forums are appreciated and respected. The Minister of Planning, Dr. Nouri Sabah al-Dulaimi, received on Tuesday at the Ministry's office the Ambassador of the Hashemite Kingdom of Jordan in Iraq Dr. Montaser Al-Zoubi and the accompanying delegation. The meeting discussed joint relations and means of strengthening them to serve the interests of both countries. Dr. Nouri al-Dulaimi appreciated the prominent role of Jordan in receiving Iraqi citizens and facilitating humanitarian, health and educational services in front of them. He called for reactivation of the joint agreements between the two countries, especially in relation to the fields of economy and investment. Pointing to the importance of reviewing the data provided by the Ministry of Planning in the National Platform for Reconstruction and Development, and discuss the possibility of investing Jordanian expertise specialized in all projects that the Iraqi government intends to implement during the coming period. For his part, Al-Zubi praised the ministry's vision for sustainable development in Iraq. He expressed his sincere appreciation for the measures exerted by the Minister during the meeting, stressing Jordan's keenness on Iraq's stability and prosperity and increasing the quality of joint cooperation between the two countries. Jordan and Iraq have reportedly started studies to create a joint free industrial zone on their shared border. A Jordanian government official told Xinhua that an Iraqi delegation visited Jordan this week to check the capacity of factories that will benefit from a decision by Iraq to exempt commodities — including plastics, pharmaceuticals, detergents, chemical materials and food products — from custom duties. It is expected that the new free-zone will create allow Iraqi businesses to benefit from exemptions and advantages under free trade agreements that Jordan has signed with several countries. It will also help to increase Jordanian exports to Iraq, which rose by 26.7 percent in 2018 to 465.9 million Jordanian dinars (3.9 million U.S. dollars). The Minister of Works and Housing, Eng. Falah Al-Amoush discussed during his meeting here today with the Chairman of the Union of Iraqi and Arab Contractors Eng. Ali Al-Sanafi, to enhance economic relations between the two countries. Al-Amoush stressed the keenness of the Jordanian government to enhance cooperation with Iraq and open new horizons for Jordanian contractors in the reconstruction and construction projects, pointing out that "the government has overcome obstacles that hinder the export of enterprises." "The ministry is working at a steady pace to be the Jordanian contracting sector qualified to enter the reconstruction and construction projects in the Arab countries, especially Iraq, Syria and Libya, and compete with foreign companies." The Jordanian minister reviewed the measures taken by the government to support the contracting sector, including financial facilities and bank guarantees, stressing the importance of preparing the Jordanian contracting sector and raising its competitive level and building partnerships for export abroad. Al-Sanafi appreciated Jordan's efforts and its openness to Iraq, which contributes to increasing economic cooperation between the two countries, pointing out to give a distinguished role to the Jordanian contractor in the Iraqi arena. He pointed to Iraq's need for distinguished Jordanian expertise in the field of contracting in general and in the management of water and sanitation in particular, pointing out the importance of memorandums of understanding and cooperation signed with the Jordanian Contractors Association, which has become a model for emulation. 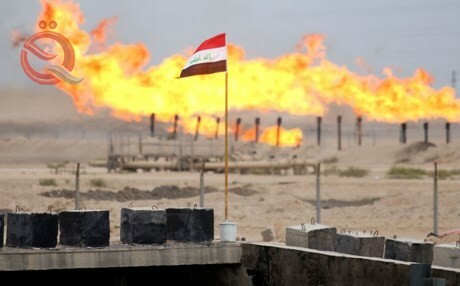 The Jordanian government today submitted a tender for the transfer of crude oil from Baiji in Iraq to the site of the Jordanian Petroleum Refinery, and no more than 10 thousand barrels per day. Jordan's Minister of Energy and Mineral Resources, Hala Zwati, said in a press statement read by "Economy News" that the announcement comes in implementation of the memorandum of understanding for the processing of crude oil signed between the governments of Iraq and Jordan in early February. Under the memorandum of understanding, Jordan is buying Iraqi crude oil "Kirkuk crude oil" to meet part of its annual crude oil needs and no more than 10,000 barrels per day. The Ministry of Energy and Mineral Resources in Jordan announced the tender for the transfer of crude oil from the fields of Baiji in Iraq to the location of the Jordanian oil refinery in Zarqa and no more than 10 thousand barrels per day. The Ministry called upon the companies and institutions concerned with transport wishing to participate in the tender to review the Directorate of Finance as of yesterday to obtain a copy of the tender documents. On Thursday, the fourth of April, at 12 noon, the ministry will set the deadline for submission of bids in the tender box with the ministry. Minister of Energy and Mineral Resources Hala Zwati said in a press statement that the announcement comes in implementation of the memorandum of understanding for the processing of crude oil signed between the Government of the Republic of Iraq and the Government of the Hashemite Kingdom of Jordan in early February. 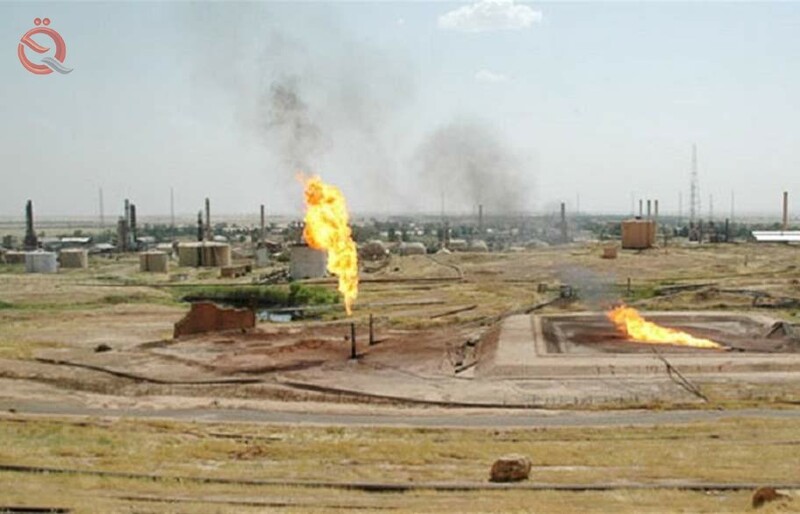 Under the memorandum of understanding, Jordan is buying Iraqi crude oil "Kirkuk crude oil" to meet part of its annual needs of crude oil and no more than 10,000 barrels per day, it added.